The backbone of our country’s economy is the small business men and women. They are the dreamers and the doers, developing new products and services to enrich our lives. The success or failure of a business, no matter how great the concept, idea or product often depends to a large degree on how the business is set up and structured from the legal point of view. Here is where Wagner Stuart, PLLC can help. Who will be the officers and directors? What type and amount of insurance coverage is appropriate or required by law? Wagner Stuart helps the entrepreneurs address the many legal issues accompanying the creation and operation of a new business. We have had clients who wanted to purchase an existing business. In these instances, we work with them to address the legal ramifications of doing so. For these transactions, we draft sell/buy agreements with language limiting potential liability for the seller, the purchase agreement and related documents for the purchase. We also locate insurance, surveyors, reclamation companies, abstract companies, and other services for a client’s consideration. Business law often includes helping with the relationship between employees and employers. This can involve the renegotiation of terms and conditions in an employment agreement or in a separation agreement. In the latter situation, we help determine whether a former employee can convert pension plans, 401(K) plans, life insurance and disability plans into individual plans and policies. We have helped clients adjust the term and conditions of their separation to better benefit them and their families. Business law is a complex arena, and it requires the help of an attorney with the experience to help you make the right choices. 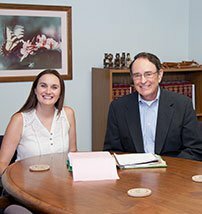 Seek the help of an experienced Tulsa, OK business attorney. John Stuart will listen to your matter and present viable options. If Wagner Stuart cannot address your specific issue, we can assist in identifying other legal representatives who might better understand your needs.